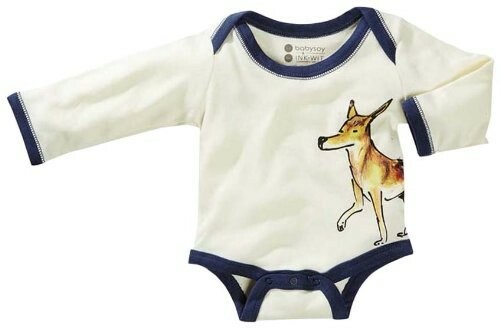 You'll love this soft organic bamboo-cotton onesie from the Janey Baby Collection, a collaboration between Babysoy and the Jane Goodall Institute. 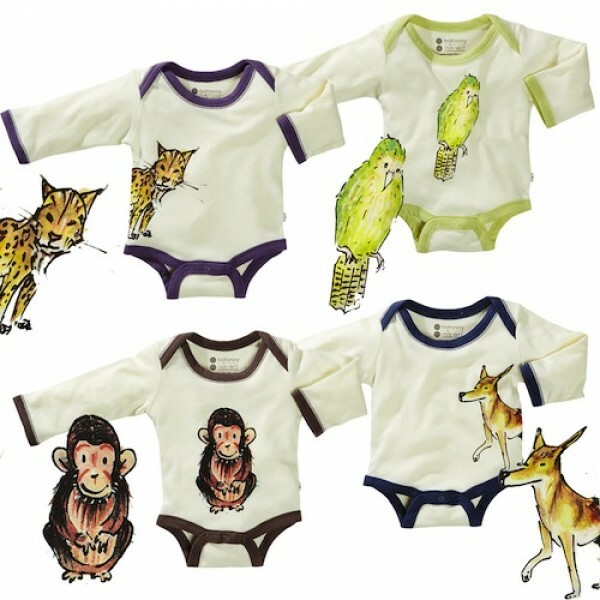 The onesies feature whimsical drawings of five endangered species: parrot, rabbit, chimp, wolf, and lynx, each with their own color of trim. Available in infant's sizes 0 - 3 months to 18 - 24 months. 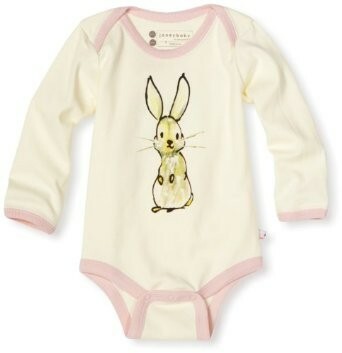 This collection uses long staple organic cotton + azlon from soybean to provide superior softness and warmth retention. Artworks are printed with water-based ink. Proceeds from each sale benefit the Jane Goodall Institute and its programs.